National Federation of the Disabled Nepal (NFDN) is legally registered nongovernmental organization (NGO) under the institutional enrollment act of Nepal. It is the national umbrella body of persons with disabilities, represents more than three hundreds member organizations working for promoting the rights of disabled people throughout the country. Clifford Chance has echoed the UK Government's landmark commitment to promoting family and community-based care for all children, as announced at this week's Global Disability Summit, by joining forces with UBS Optimus Foundation and Allen & Overy to launch a new ‘Private Sector Pact'. Tackling the global education crisis takes the collective power of business and other stakeholders – and know-how to bring these voices together for positive change. Within SC, gender equality is one of our key cross-cutting themes. Targeted program interventions to address the specific needs of girl children with disabilities, changing discriminatory and unequal gender norms in home and community will be planned and implemented to improve girl children's with disability access to school and learning opportunities. AbleChildAfrica is unique in that we work exclusively with and for children with disabilities and their families in Africa, and are the leading UK charity to do so. The children we work with are some of the world’s most vulnerable. In Tanzania, like many countries, disability is highly stigmatised and can lead to barriers of discrimination and exclusion. We work to build an inclusive society that understands disability as part and parcel of human diversity and that ensures that all development activities provide benefit for all. Action on Disability Rights and Development is nonpolitical, Non-Governmental, non-profit making rights based development Organization of persons with disabilities, functional in Nepal since its establishment in 2008. The public advocacy and media mobilisation convened by this organisation has pushed for the CRPD ratification and transforming disabilities into development agendas. Age International supports a range of programmes in Africa, Asia, the Middle East and Eastern Europe. Explore the themes below to see how we help people to be healthier, to have more financial stability, and to be treated with dignity. We are a disability-led charity with 18 years of experience supporting non-profit and commercial organisations to make what they do more accessible and inclusive for Deaf and disabled people. 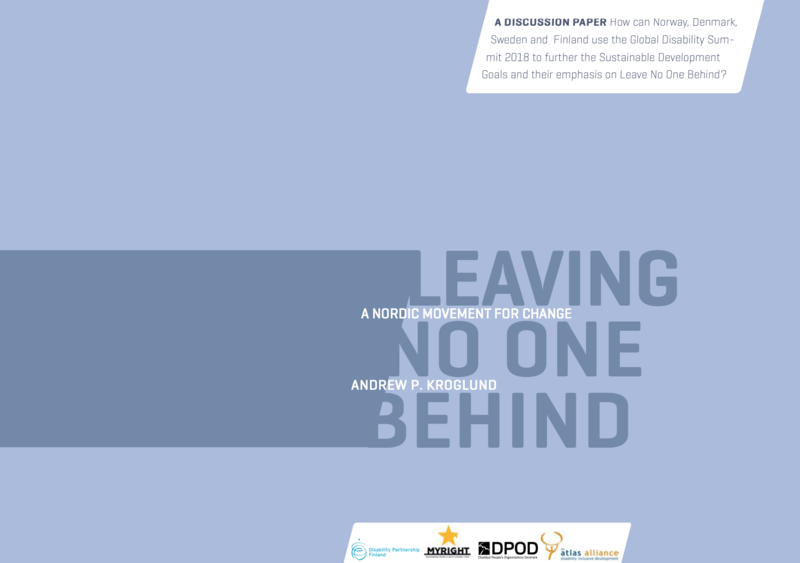 The Nordic disability organisations have written this report, to assess the current policies of our governments on international disability issues, and to assess in what way could the Global Disability Summit in London help strengthen the SDGs and LNOB agenda. Download and access the Global Disability Summit Charter for Change in regular and easy to read formats. Read the summary of those 170 sets of commitments made at the Global Disability Summit. In this document, you will find a list of all Governments and organisations who signed up to the Global Disability Summit Charter for Change.